I thought since we hit 10,000 Facebook Fans it was time for a giveaway to celebrate. But everyone knows y’all need cake and cupcakes to celebrate! I just want to take a second to thank y’all for everything y’all have done for me! Y’all have no clue how much this means to me. When I started Cream Of The Crop Crochet, I had a dream to build something great but y’all have made it so much more than that. Plus, we just hit this year’s Facebook goal of 10,000 likes! Woo hoo! 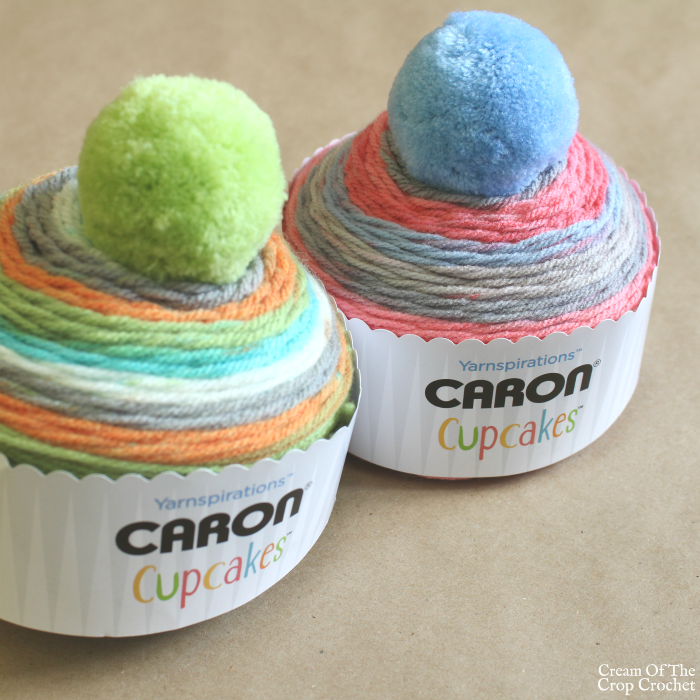 When taking an adventure through the Caron Cake Shop, I was think about getting a couple for myself although I still haven’t found the perfect pattern for it yet. Could y’all help me out with that? What is your favorite crochet pattern? This 10,000 Facebook Fans Giveaway is only open to the United States (except Hawaii and Alaska) addresses, and ends 9/9/2017 at 12:00 am Eastern US time. Your email address is the only mandatory entry, and is not added to email lists (I hate when that happens too). The prize will be given to one lucky winner. To enter use the form below the photo. Good luck, y’all! ? Love your site. Thanks for the chance to add to my stash! Great site for many different crochet items…can’t pick just one.they are all beautiful. I love crochet so much I see it… I like it,… I share it,.. and I make it. Thank you for the great items you share. I pass them all to my friends.. I love making stuffed animals for the neighborhood children, they get lots of love. I would love to win this give away. I am not sure what my favorite pattern would be from Caron Cakes. I haven’t used it yet (maybe I’m getting a late start), but the hats I saw looked fun. Love this yarn. I love crocheting and knitting everything. I can’t really say that I have a favorite pattern. I love them all! I’ve been wanting to make a shawl out of a Caron Cake skein since they came out! I love the never ending wildflower pattern. I love making granny squares! Blankets because I’m still pretty much a beginner. Right now I am doing a baby blanket in Bernat stripes. I love making hats with these. These skeins are gorgeous! Hats because they are easy to make for others. My favorite crochet stitch is the shell stitch!! Favorite pattern? That’s like asking what is my favorite book! Love the colors you chose for the giveaway — thanks! Lately I’ve been addicted to the virus poncho pattern but my favorite is the first I ever learned, granny square. You get to do whatever colors in whatever combinations and the basic stitches can be applied to anything. I love making the virus shawl. So pretty! I like making hats and scarves. I like using the half double crochet stitch because I like the way it looks! I like making hats, but I also like other patterns. Right now I am making a blanket. My favorite pattern is always the next one I’m going to make! Haven’t gotten to try Caron Cakes, but have been wanting to! 🙂 My fave crochet pattern, so far, is Pretty Pink Pineapples afghan, by Elizabeth White. Not sure if it’s still in publication, tho! Lost in Time Shawl…so pretty! I like amigarumi and am currently working on a king sized bedspread as a CAL. I try so many different things, I don’t really have a favorite crochet pattern, recently I started making amigurumi’s and I just love making them, but I don’t follow a specific pattern. I love all kinds of patterns. My most made would have to be my flower ear warmer. Check it out on my Instagram! I love hats.. all sorts of hats ? I love making blankets but have stared to crochet new things hats, stuff animals and doll clothes. I use the star blanket pattern. My fav pattern to use with the cakes is the star blanket. They always come out so pretty!! Wanna make a c2c in rainbow, using a mostly red, mostly orange, mostly yellow, etc cakes. My birthday is the 9th would love to WIN. I really do not have a favorite. I like to try new things, right now I am making my first amigurumi fancy goldfish for my granddaughters birthday! I’m making the.C2C. I LOVE IT! I think my favorite pattern is either the virus shawl or the beautiful shells. It’s hard to have just one favorite! I love and patterns that are unique looking. Especially lacey shawls. I’ve been enjoying crochet for about 12 years and right now I’ve been trying new things with it. I’d have to say that’s my favorite thing to crochet. Something new. Love all the preemie patterns but today the football hat will be my favorite. My friends have a little girl born a few months too early who is in need of some crochet love and I’m gonna make sure she gets it. ? Thank you for a chance to win. I think the cupcakes would make nice hats, but I guess I only see hats cus of the giant poms on top lol. I love these types of yarns for the Virus Pattern, Beautiful Shells or for a shawl or poncho even. I totally adore the virus shawl pattern. I commend your creativity! I don’t really have one. I love a lot of them. I really like to make hats and shawls though! Thank you for the chance to win! My favorite patterns lately are for ponchos. So many fun looks! Would love to win the yarn…I do not instagram ….thanks again for the opportunity…would love to get it for my 60th which is on 9/7!! Love the Caron Cakes and love your work! I have so many patterns that I love but hat patterns are usually my favorite. Right now I’m working on a hat by hillarys hook. It’s called the momma slouch. To many great patterns to choose from. Plus, I’m still learning how to read patterns. ? I don’t have one favorite pattern, but I love to crochet doilies and my favorite stitch for an afghan is the waffle stitch. I like the Heathered Eyelets pattern from Fiberblux. I made my sister a shawl last year for Christmas, I’m making a scarf from that pattern now. Thank you for your giveaways! I love to crochet. Your patterns are easy to follow! For the Caron cakes, I love using the glacier cowl pattern, but I love making scarves and hats and will definitely try a new pattern. Congratulations on hitting 10000 followers! ? The Lost In Time Shawl would be perfect for these pretty cupcakes! I love the Caron Cotton Cakes! I hope they continue with them. 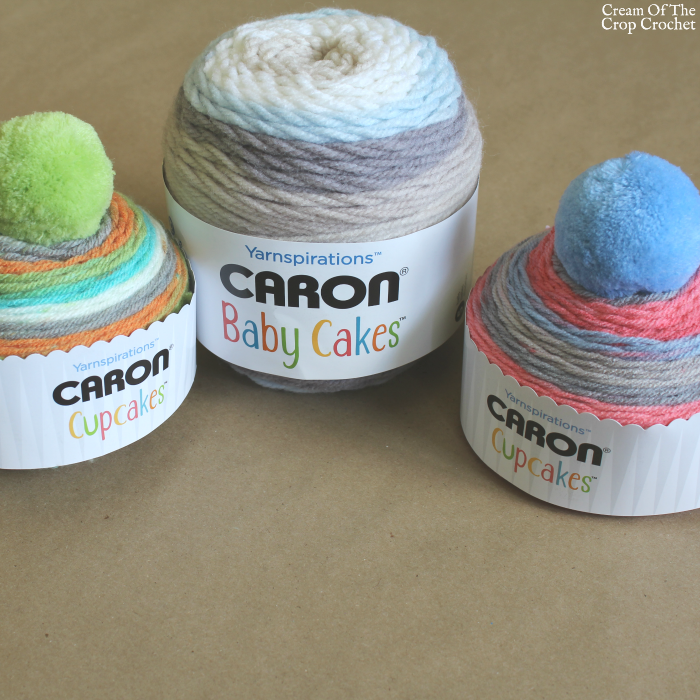 The Caron cupcakes are sooooo cute, it would be fun to work with. I have so many favorite patterns its hard to pick.. Love your work and the amazing pictures and patterns. Thank you for the amazing opportunity to be able to enter for the giveaway. 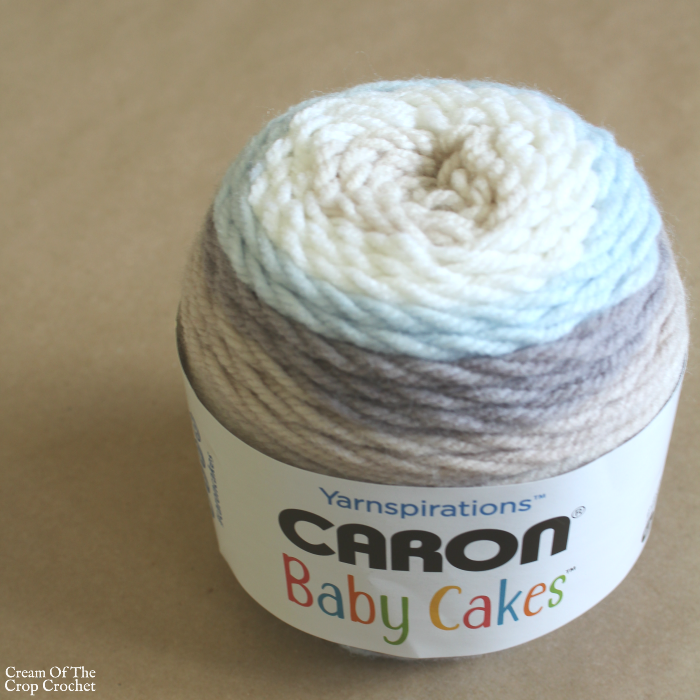 I love all the Caron Cakes! Can’t wait for the cotton ones to come back. Using Fairie Cake for Granny on the Ridge, and have been making totes for all the girls in the family with what cotton ones I can find. Live the cakes!! I haven’t tried these yet, but I’ve started branching out to mandala vests and I LOVE them! I love to crochet all different kinds of stuff, love thread do a lot of doilies and tablecloths. Afghans are great during the winter. I love making clothing and blankets! Working on a sweater and finishing 2 blankets now. When I look at this yarn, I think of a nice warm hat for the grandkids up north. My favorite pattern is the virus blanket pattern. I love the campfire cardigan. Would look gorgeous in any one of these colors. My favorite pattern is Freda’s Flowers. But there are so many beautiful ones and I love them all. These are so pretty! I would love to make a baby blanket with them. Anything “baby” is my favorite patterns. 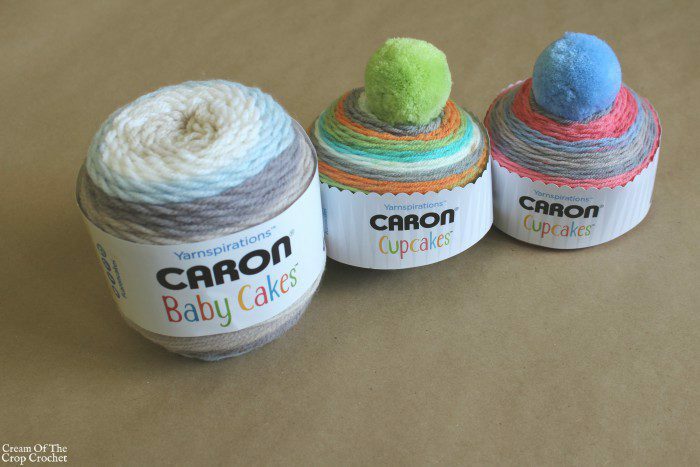 Love these Caron Cakes, however I have to travel a bit to get them. My small town don’t carry them, and they remind me of a cup cake! I love making all kinds of blankets. I have so many favorite patterns but one is a flower headband it is so fun to make! I have not tried any of the types of yarn like that yet where the color changes through the skein. It’s fast and easy to work up, but looks super trendy and makes a good gift! I love making scarfs in the winter! I love to make hats for charity organizations. Thanks for the chance!! I’ve never worked the same pattern twice, so every new pattern is my current favorite! lol I have only been crocheting for a couple years and still enjoy them all. I just finished a doll, it turned out so cute that it is my current favorite. I have so many favorites, but my go-to pattern is a square baby blanket worked in rounds. Don’t even remember where it came from! I like the ring around the rosy cardigan by the lavender chair. I am still a beginner but I am loving the Granny Stripe for blankets! I am working on my third right now! Really into infinity scarves and hats right now…would love to try these out! I’m making Hoodie Blankets for Kids with Cancer, for a hospital in Florida. This prize would be great to help me make more. Thank you for the chance to win this beautiful yarn. I Iove making Afghans and shawls…all kinds. I love these cakes! Thank you!! Love the newborn hat pattern, too cute! My favorite crochet pattern at the moment is the NICU Octopus plushies. They’re simple and for a good cause. Current favorite patterns are those for festival/bikini tops. My favorite pattern would be the virus shawl. I love the baby blanket too. It’s simple and elegant looking. To be honest, they’re ALL my favorites! I’m like “Oooh! That one! Oooh! This one!” So, I guess that my favorite is always the one that’s on my hook at the moment! Lol! One of my favorite patterns is the “Call the midwife” baby blanket pattern. It’s so simple and fast to work up. I prefer to make my own patterns with different stitches. My favorite is the moss stitch! I have to say the early round ripple baby blanket is the one I always turn to. Now with Caron Cakes they always look great. My favorite pattern is the C2C blanket…they work up so quickly! I don’t really have just one favorite. I like to try different things. ? Love the colors. Would make hats for the family. So much fun! I am loving these new caron cakes! Thanks for the giveaway! I absolutely love the shell pattern ???? Hope I can win that lovely yarn! I would LOVE to win! With Christmas just ahead, I’m trying to make everyone an Afghan and anything C2C is my fav!!! I really enjoy making baby/toddler items! My favorite crochet pattern is Lost in Time shawl by Johanna Lindahl. Thank you for the great giveaway! I love making any baby hat pattern! Babies are so adorable in hats! I really don’t have a favorite because I like to try different ones for different things. I love hats and corner to corner baby blankets. My favorite so far is the CTM afghan! Made two so far for new babies! I seem addicted to sunburst baby blankets (i.e. star blankets) but my favorite is whatever I’m working on. I love to make baby mittens. My favorite pattern is one called Potholder #9364. It can be found on Ravelry. The potholders are both functional and cute! Thank you for the giveaway! Love to add a pair of matching baby mittens to my baby blankets, we all know how those little dinners get wiggling out! Baby blankets in c2c and just recently been using mini c2c. I love crocheting Hats, and bags. Both are quick and I can add or change them up. I guess if I had to choose a favorite it would be the c2c graphaghan I designed for my soon to b born granddaughter. ? I always love baby hats. My favorite pattern is granny square. So easy to do and so many different ways to make it just by changing the color, stitch, size. I love the newborn cluster hats. They came out so cute. All About Ami’s Cabled Hat version 2 and Two Brother’s Blankets Celtic Weave Mini Slouch are my absolute favorite patterns!! I like the Jae Baby blanket that is so cute. Haha, same here! One of my favorite go-tos for baby blankets has been the bean stitch with any thick, soft yarn. Not sure I have a favourite pattern, I guess the one I’m currently working on is my favorite until I move on to something else. It wouldn’t let me use the link,to leave a blog post. I hope this is where I’m supposed to comment. My favorite crochet pattern right now is bun hats. I made a beautiful pixie hat out of the caron cakes. Not only was it beautiful but soft. My next project out of this yarn will probably be a cardigan. Fans! We love what you do. Thank you for doing it!!! Hi!! My favorite pattern is when I’m working on a dishcloth. I love doing a single/double crochet stitch. It works up beautiful and is very durable. Thank You for the opportunity for a chance to win this yarn. I love the beautiful shells. It was first thing I learned from my grandma. I haven’t had the chance to use this lovely yarn yet. I can’t wait to see what the rest of you suggest for it! My favorite pattern is c2c. My favorite pattern is the double crochet beanie. I’m making several for cancer patients. I’ve been making a ton of amigurumi lately! I love making them because the kiddos that I give them to love them so much! I can’t say I have a favorite pattern since I like to crochet many projects. My favorite crochet pattern is the apache tears. Right now my favorite item are shawls but I like to crochet any and everything I can find. My favorite pattern is any NICU baby hat. I really love to win this yarn.It would be great to make a cargidan for me. I like to make baby dresses and sweaters. My projects consist of hats and scarves right now and as soon as I master mittens them also!! I like a “virus” type shawl pattern with any of the Caron Cakes. Everyone who received one that I made for them likes the softness and their warmth. Great wraps for a cold evening! The shawls work up quite nicely! Corner to corner has become an all time favorite! My favorite patterns are plushies! My favorite pattern is a stitch pattern called Pine Trees from The Illustrated Guide to Crochet. I really like asymmetrical ponchos, where the front is shorter than the back. I’ve been into making baby beanies lately. They are so quick and easy ? Baby blankets, I just love making baby blankets in all different colors. I am currently making a pink, grey and black one. I love hat patterns most of all! Thanks for the chance to win your giveaway – Congrats on 10k + fans! ? I love crocheting afghans and amigurumi. I don’t really have a favorite pattern.. but I do tend to lend towards the Corner to Corner more than any other.. I don’t think I have a favorite pattern. I do have favor yarns though! I’m kind of bouncing around trying a lot of different things. Congratulations, My favorite crochet pattern is any one where I have tried a new stitch or technique. Congratulations on reaching 10,000. I love crocheting ponchos, shawls, scarfs and hats. Congrats on the milestone! My favorite pattern is a cute little bunny with a granny square like tummy made by Green Dragonfly. Congrats on your milestone!! Many Blessings and more to come. My favorite pattern is when it comes to making blankets. I love to make blankets ? Congrats on your milestone!!?? How awesome!! I would make a couple of hats, ear warmers and a cowl or a scarf. Thanks for the chance and for all your beautyworks. I love following your journey on instagram? My favorite pattern is usually the next project I’m working on – whatever it is. I do enjoy making baby dresses, sweaters, etc; dog sweaters, prayer shawls, coasters, and dishcloths. Also anything my family requests. I have made a few c2c baby Afghans with the baby cakes. Love the finished product. Can’t get enough! What an awesome giveaway!! So far my favorite patterns have been amigurumi, but lately have been into shawls. I haven’t tried them yet. I wanted to be have been working out of my stash. I love making things for my grandkids! Congratulations on your success! Thank you for this awesome giveaway! I’m currently doing the Solar Eclipse Coasters, they’re fun to make and will be some great gifts. Oh no! Gotta have a yarn stash. You’re welcome! That sounds interesting. I love simple. I have a new grandson to crochet for! Or knit, I like to do that also! Oh my, you are brave. That shell stitch scares me. It’s why I don’t have many shell stitch patterns. I love the watermelon beanie pattern. Super cute! Thank you! Those sound like fun! I love making hats too! I want to try this…I like the colorways….would SO love to win this…with my budget, I have to choose carefully every month. Here’s a word of advice: Start saving for your retirement EARLY! I was forced to retire early after a severe back injury – and I was NOT financially ready. It’s not fun. Thank you for the opportunity! I’m going to cross my fingers for a bit! I know, that baby cake has been tempting me for 3 weeks… That sounds like a fun project! I’ve seen this yarn but haven’t tried it yet. Love your posts and web page! Oh my, you had me at super scarves! Those are so much fun! Maybe I should make some super scarf patterns. Have never tried the new cakes but would like ? C2C patterns are a lot of fun! I’ve heard of that pattern a lot. My favorite pattern is a simple double crochet sweater made with Homespun yarn. Works up quick. It’s warm, its pretty, and it’s great for a beginner or a quick project for an experienced crocheter. I can’t say I have a favorite. I love making anything. I am working on a shell baby blanket with cakes like Carob ans it is so easy to work up and is coming out so nice. Foins pattern on Pintrest. My favorite is the Virus Blanket. Love many patterns! Enjoy making things for family. Congrats on reaching 10,000 fans!! Looking forward to what you will share next!! I love any pattern I can do in 4-8 hours. It gives me such a sense pic accomplishment. Currently I do a lot of hats and diaper covers for my grandson. My favourite pattern so far is the Holden Cable Crochet hat by Lakeside Loops! I find myself making this hat and the matching mittens as gifts all the time 🙂 Congratulations! 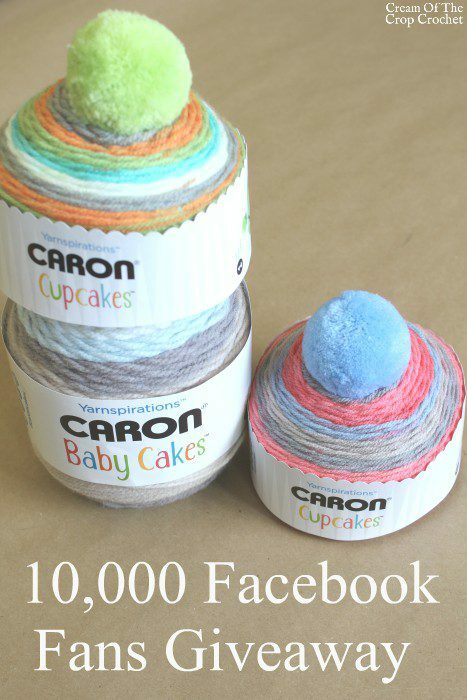 I’m dying to get my hands on Caron cakes, that baby one looks so dreamy you just want to dive right into it!! I want to make the movie night cocoon cardigan. Okay. I got this ? My favorite patterns are doilies and scarves! Gah! I went too fast, didn’t realize there was a question, just thought I had to leave a comment. When I saw the question, I was going to fast to read it before I hit enter. ? Awesome! My favorite crochet patterns are hats, make them all the time!